As part of its efforts to mark the Year of the Environment, the Yamal-Nenets Autonomous Area will organize an operation to clean up Vilkitsky Island. The news posted on the region's site says that the environmental brigade will arrive on the island in the summer of 2017. 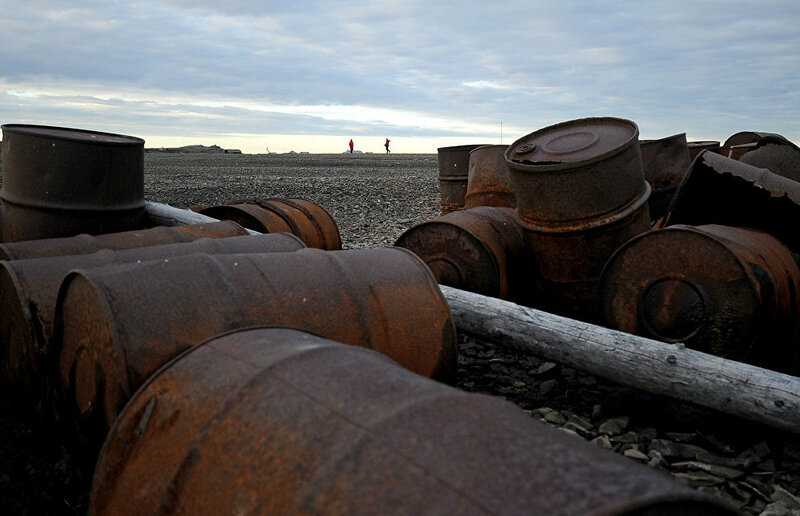 The project to clean up the islands in the region's Arctic zone was initiated by the regional governor and government, and oil company Gazprom Neft is providing financial support for the clean-up operation on Vilkitsky Island. "Preserving the environment is an absolutely top priority for Yamal," said the region's governor, Dmitry Kobylkin. "Our environmental projects are just as ambitious as our industrial initiatives. We are working systematically to clean up the accumulated environmental damage on the Yamal Peninsula and the islands of Bely and Vilkitsky. We take a strict approach to oil and gas companies' environmental obligations, and, I must say, the companies show full understanding here." Vilkitsky Island was discovered in 1874 and is located in the eastern Kara Sea, between the Ob Bay and the Yenisei Gulf. It is around 9km in width and around 18km long. It was named after Lieutenant General Andrei Vilkitsky, a Russian hydrographer, surveyor and head of the Chief Hydrography Department, and is currently uninhabited. "Vilkitsky Island is located practically at the top of the world, but it is important to ensure it does not vanish from our memory. It is symbolic that the clean-up operation is taking place in the Year of the Environment. We understand that our project is part of a greater effort to reduce the number of abandoned dumps on the map," said Andrei Baryshnikov, director of the Russian Center for Arctic Development. Over 2012-2016, volunteers in the Yamal-Nenets Autonomous Area already cleaned up 70 hectares of land on Bely Island, dismantled 19 old, dilapidated buildings, and collected more than 1,200 metric tons of scrap metal. More than 70 environmental protection initiatives will be carried out on Yamal during the Year of the Environment. They include the clean-up on Vilkitsky Island, completion of environmental projects on Bely Island, and the establishment of a green plants nursery in Salekhard on a site of 700 square km. Other events include a scientific and educational project to study glaciers in the Ray-Iz massif mass of the polar Urals, together with Moscow State University. The regional action plan also includes 12 events, covering all municipal districts in the region, to clear unauthorized dumps and plant trees.